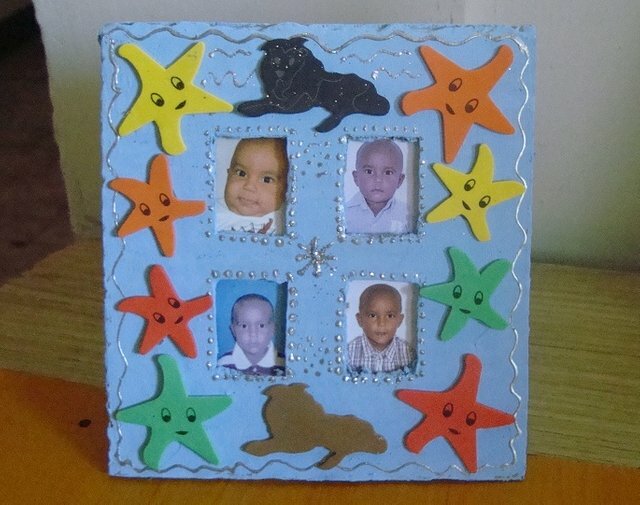 Crafts with recycled material./ Frames for Photography. The recycled materials are those materials or waste that are subjected to a process in order to convert them into reusable raw material for the creation of new objects and at the same time we will contribute positively to reduce environmental pollution. To start this process, the first thing we must do is identify the materials, that is, place several containers or bags and identify them as follows: organic matter, packaging, glass and paper. In this way we can start the recycling process in a fast, simple and very effective way. We contribute to preserve the environment. We use less raw materials. We save energy and fight against climate change. It is very important to remember that the main reason for recycling is the need. That is, we must recycle because otherwise we would have many problems, such as the storage of waste, water pollution, deterioration of soil quality, etc. Craft is one of the methods to avoid the destruction of the environment, it is also an excellent tool capable of generating new knowledge, to awaken our senses and those of our children. In addition, this will help our children to benefit from their ability to communicate and express themselves, as well as to expand their ability to see, understand and interpret the world. They develop their ability to observe, understand their environment, learn to communicate, establish a dialogue with others, listen and share. They develop their imagination, perfect and create new solutions. They develop their feelings, delicacy and companionship. They adapt to the new changes, this also helps you to be tolerant with others. 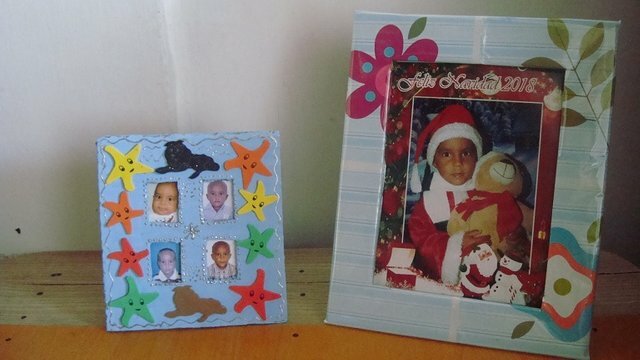 In other words, the handicrafts help to develop these values, so that the child can express what is inside, their feelings, thoughts, feelings and emotions in a creative way, and at the same time learn to perceive and understand. The world from the points of view. 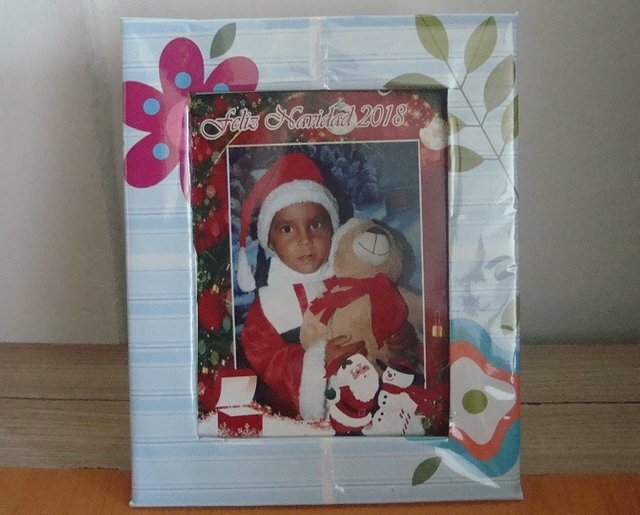 I have some pictures of my children that do not have frames, so to give a new use to recycled materials, I will show you how to make photo frames with cardboard. 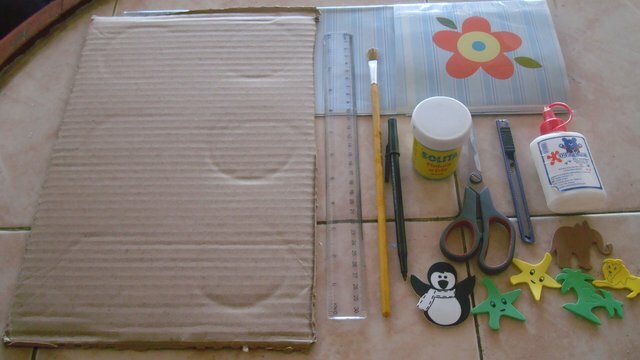 Paper and figures to decorate. With the ruler we measure and cut the size we want for the frame. We mark in the center, the size, the photograph and then, we cut half a centimeter less so that the photograph stays well. We lined the frame with the paper. Decorate as you like. 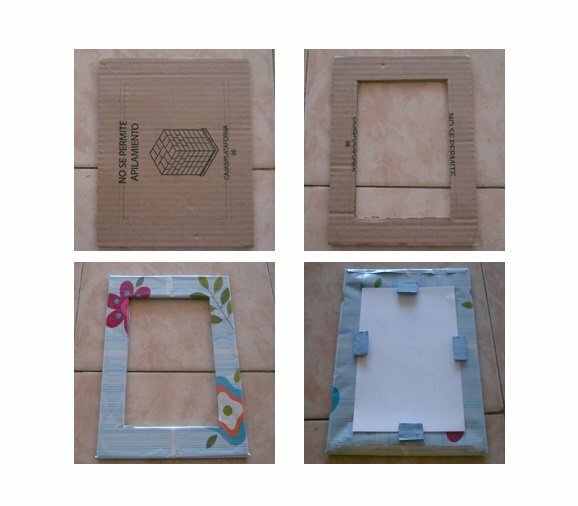 Cut several small cartons and stick it on the back to hold the photo. We humans must take advantage of the resources provided by the planet and nature, but without abusing them and without causing significant damage to the natural environment. You published more than 200 posts. Your next target is to reach 250 posts.